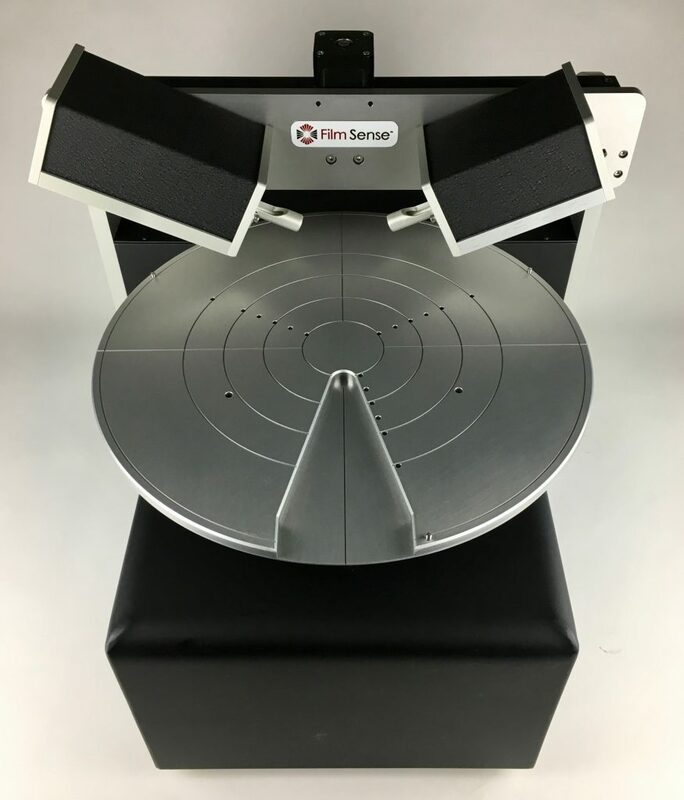 Easy to handle even from your desktop and no computer need.. the FS-1 ellipsometer is a very compact and light ( lees than 500 grams, 13x6x6 centimeters boxes, two heads source / detector small size boxes that you only need to fix on your cluster tool deposition or growth system such as ALD, CVD or film PVD cluster tools. You will then follow in real time and be able to monitor your system from your office with your tablet or smartphone (windows or android or apple).. Easy mounting in most optical windows designs without breaking vacuum.. and even here no workstation or PC laptop needed!!! Such a light setting can be used as well on top of any other processing configuration like Langmuir Blodgett , (LB)trough, water surfactants controls, TIRE experiments or porosimetry , ect... and getting much more accuracy than usual instruments.